Robot will use sensors and/or computer program to maneuver out of a confine space and into another area. 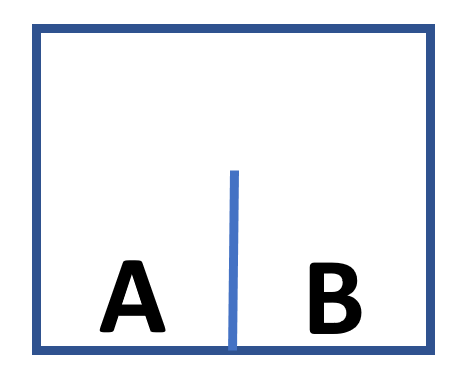 Robot can start on either A going to B or from B going to A. The table is 4 feet by 4 feet. Each room is 2 feet by 4 feet. Robots can start in either room. The wall in the middle will provide a 16 inches opening. Timed Activity.